Reducing the cost of technology adoption, aligning technology with the business needs, and keeping people productive, besides many others, are key challenges facing off businesses, but Shekhar Juneja, Co-Founder, Root Info Solutions makes them take a backseat with Python 3 web application development services. Learn how. Cloud, mobile, social, Internet of Things (IoT) and more... we are surrounded by them. Even our senses and perceptions are getting ruled by them. There is no dearth of Internet products and services in the world. However, there is a serious concern when it comes to making the technology do the right thing, that is, aligning technology with the business needs. 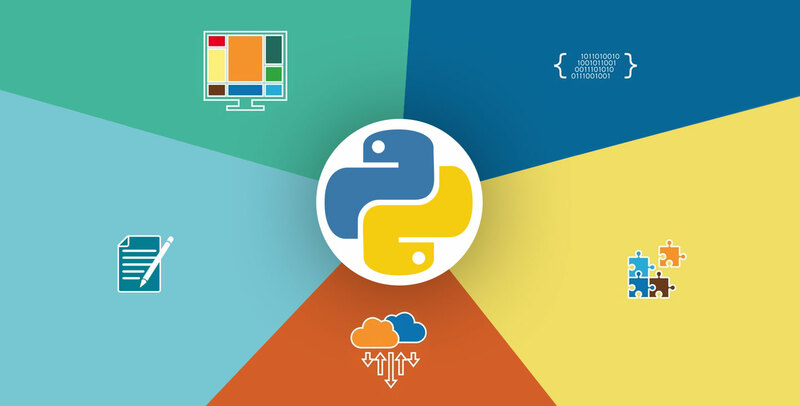 Thankfully, Python 3, the object-oriented language, has the capability of connecting the software or applications with the real-world scenario, provided when its components are linked appropriately working in a streamlined manner. Python does away with dialects and complicated syntax that plagued the users of predecessor programing languages such as Perl and others for decades.The source code of python bears similarity with the pseudo code. Therefore, composing syntax in Python is a child's play. It is quite clear and readable and, thus, avoids the possibility of code errors leading to build-failure, stability, performance and security issues. Accessibility to reliable support is a must. It makes it easier for the in-house IT team of a business to overcome any meanwhile software problems and avoid sudden IT downtime leading to productivity loss. Being an open source language, it has an ever growing base of emerging and experienced software developers. Hence, one may expect a prompt support from its community to fix any bugs. Developers round-the-world keep on drafting fresh modules to make Python's components easily accessible. 80% of the TCO (total cost of ownership) of an IT infrastructure of a business is consumed in its maintenance alone. Python 3 targets at bringing this maintenance cost down significantly. Python is a ready-to-run language and its code can adapt easily to different environments. From application integration to importing functions to embedding codes from C, all becomes easier in Python 3. Moreover, by making changes to the package and modules available with the Standard Python Library, a program can be used for different purposes. This cuts down the upfront technology cost of the product. Being written in portable ANSI C, interoperability attains a new height with Python 3. The application developed so, not just bears cross-platform compatibility to suit the needs of end-users, but also gives freedom and flexibility to software developers. A Python program, written on an OS X or later, can be successfully tested on a Linux and uploaded to a Windows-based PC. It's loud and clear that Python 3 web application development can help businesses to successfully contain the problems that were quoted in the beginning. Do share your opinions with me here.